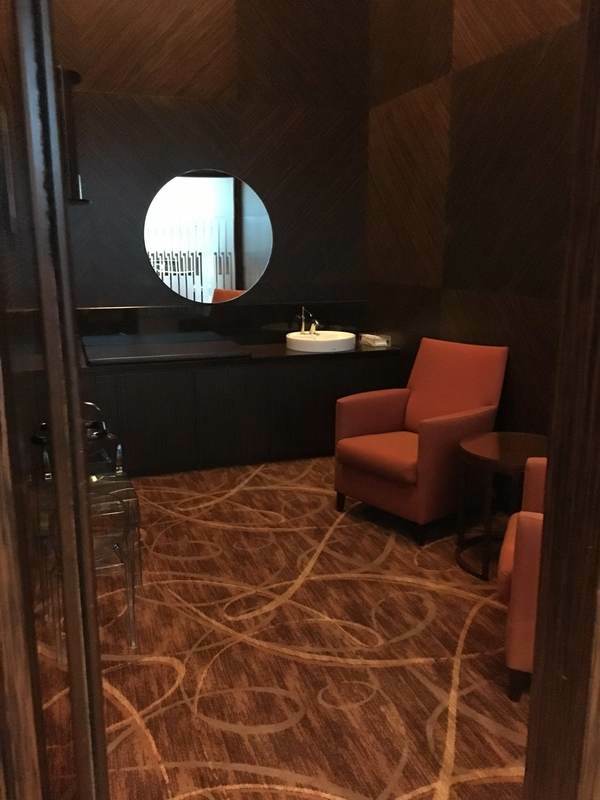 A review of Singapore Airlines flagship first class lounge – The Private Room (TPR). 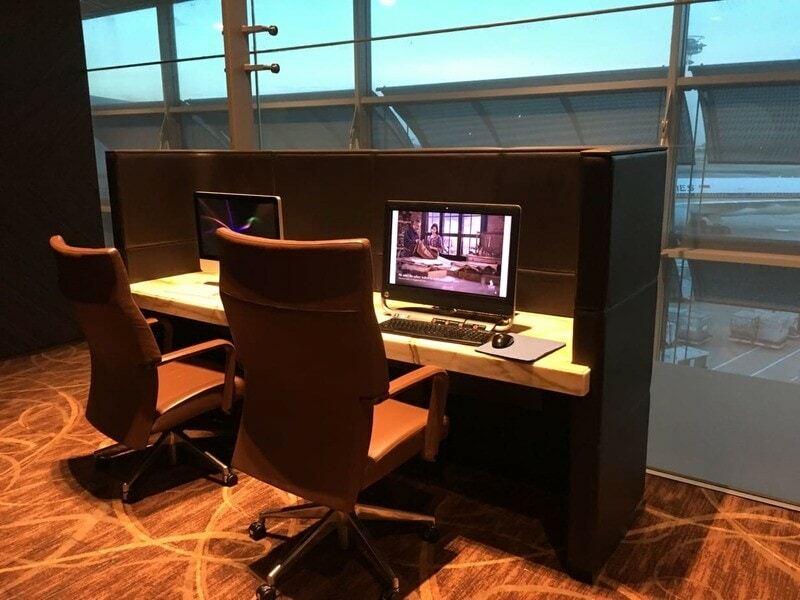 Located at Terminal 3 in Changi Airport, Singapore Airline’s signature flagship lounge is a highly exclusive ‘room within a room’. 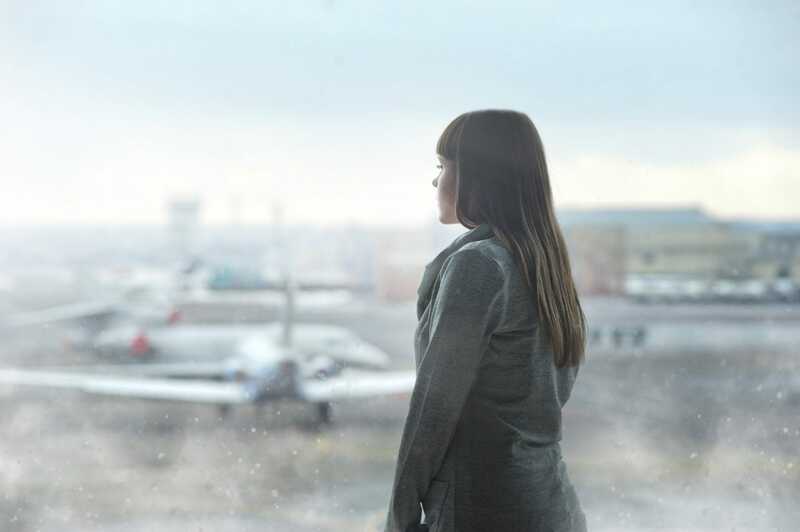 It’s located within the Silverkris first class lounge, which is in turn is located within the main business lounge. 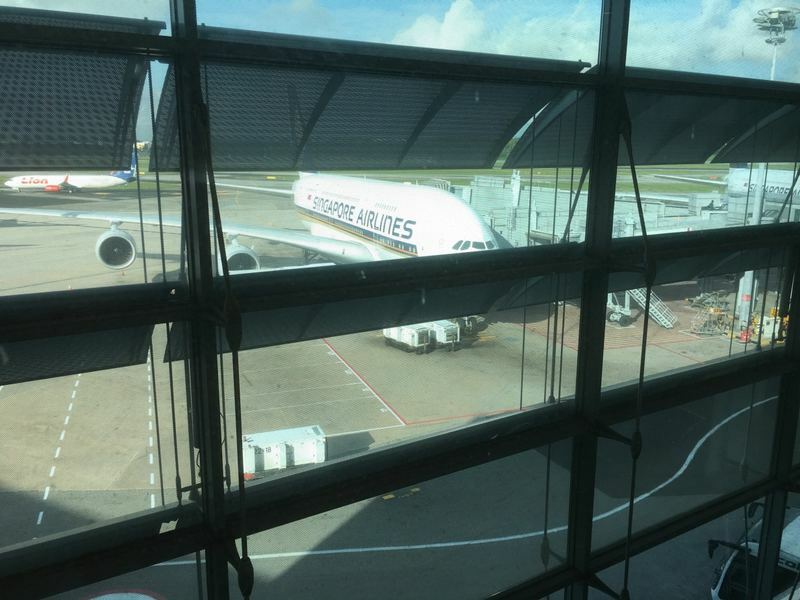 The lounge is only accessible by those travelling outbound in first or suites class with Singapore Airlines. (no outside guests are allowed). 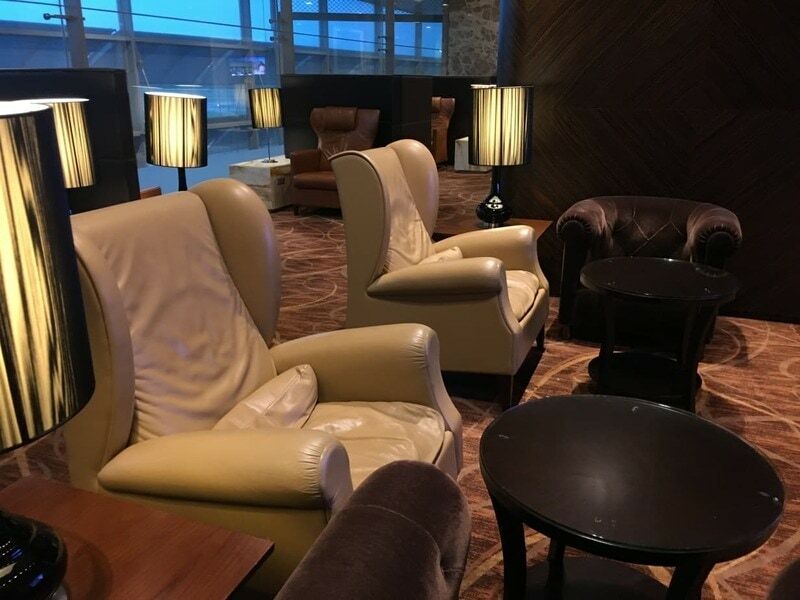 PPS Club elite members and those travelling first class on other Star Alliance airlines must use the separate Silverkris first class lounge. I last visited the lounge early in February. After a seven hour flight early in the morning, I had almost twelve hours to kill until boarding my next leg to Hong Kong. 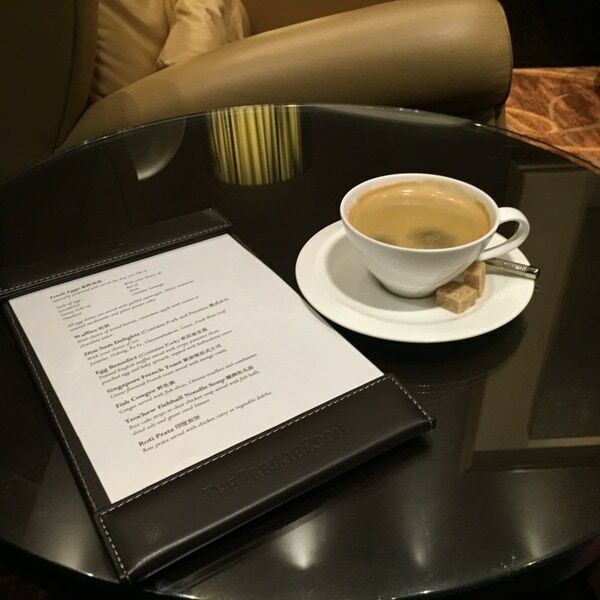 I was looking forward to heading to the lounge for coffee and breakfast before heading into the city for a day of sightseeing. 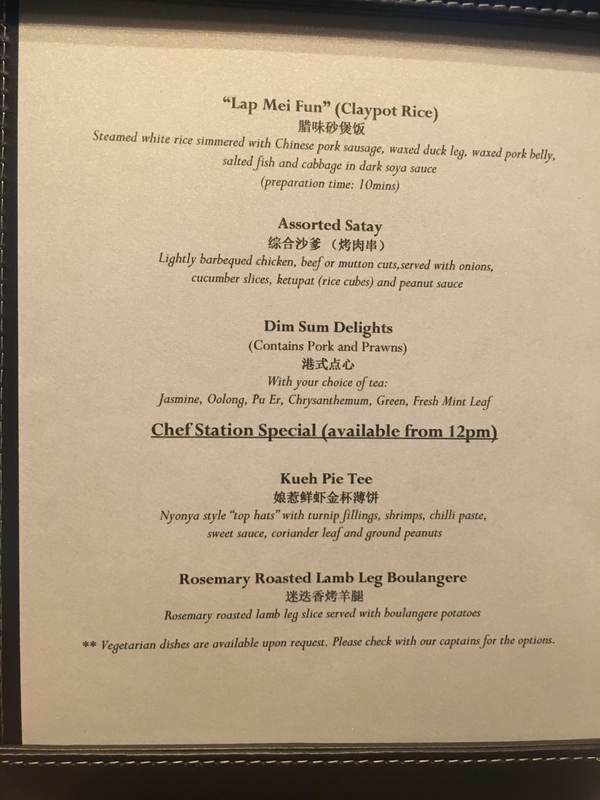 I then planned to return to TPR for a light dinner before flying first class into Hong Kong that evening. The main Silverkris Lounge entrance was less than a five minute walk from my arrival gate and clearly sign posted. 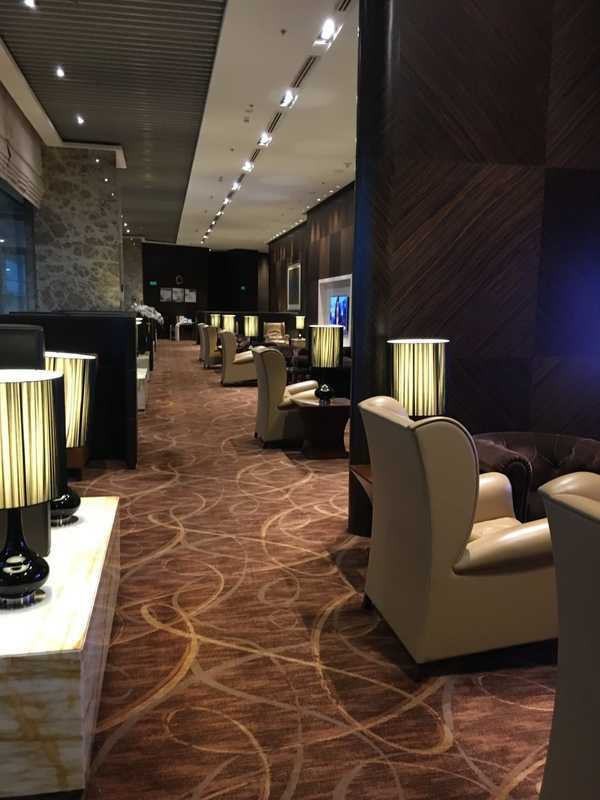 Upon heading up the escalators to the front desk, I was met by an attendant who greeted me warmly and escorted to the Krisflyer first class lounge entrance. At this point, a second representative greeted me by name, printed off a special ‘golden ticket’ for The Private Room and then personally walked me through to the entrance. TPR is a long rectangular space. It’s lavishly furnished in various hues of brown with a ‘private club’ feel. Soft leather and velvet armchairs are scattered around the room with marble side tables. Soft mood lighting offsets the heavy wood panelling. …as well as a lavish self-serve buffet. Towards the back of the lounge you’ll find a very small business centre which comprises just two iMacs. Those without a laptop and who need to work would do better to backtrack into the Krisflyer first lounge. There, a long bank of computers as well as printing, fax and telephone facilities exists. A small room sits opposite the business centre. With a basin, closeable door and a sleek change mat, this room appears to be set up for families. While it’s fair to say that not many children visit TPR, the furnishings don’t really make for a welcoming environment for children, and a few toys wouldn’t go astray. Slanted windows provide a view of the tarmac outside. The bathrooms are spacious with large, private shower facilities and Salvatore Ferragamo amenities. 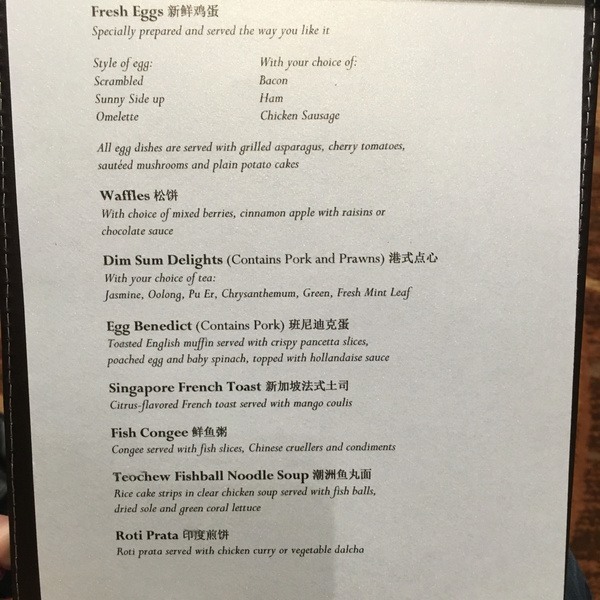 A breakfast menu is served until 11 am. 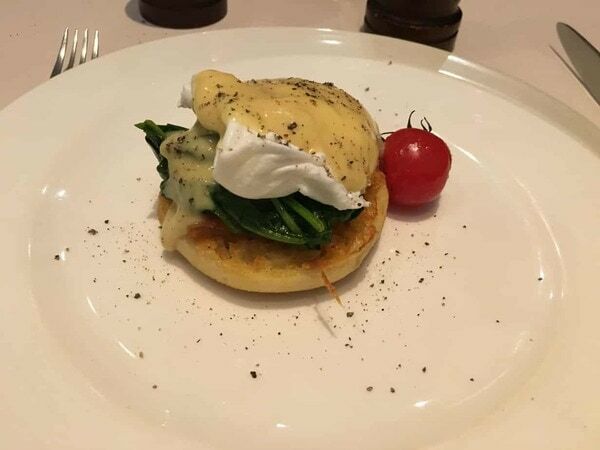 …and a half serve of the eggs benedict, which was tasty. After an afternoon spent exploring the Lion city, it was time to head back to the airport through the dedicated first class lounge check in facility and treat myself to dinner. 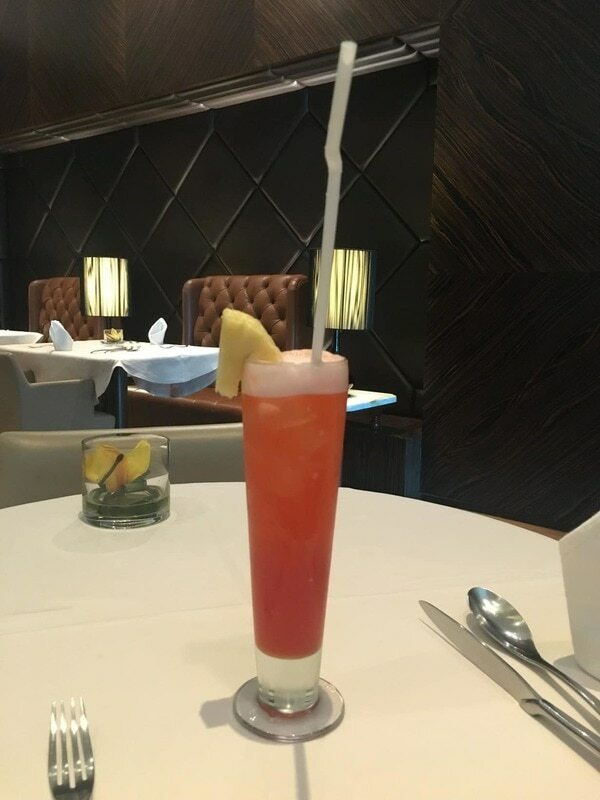 First up, I ordered a Singapore Sling. It was served in a traditional long glass and as you’d expect, it was very well made. In fact, it was better than the one I’d sampled at the Raffles Long Bar awhile back. As I’d sampled a Lobster Thermidor on my flight the night before, I couldn’t quite bring myself to order the lobster baked with three cheeses for dinner. 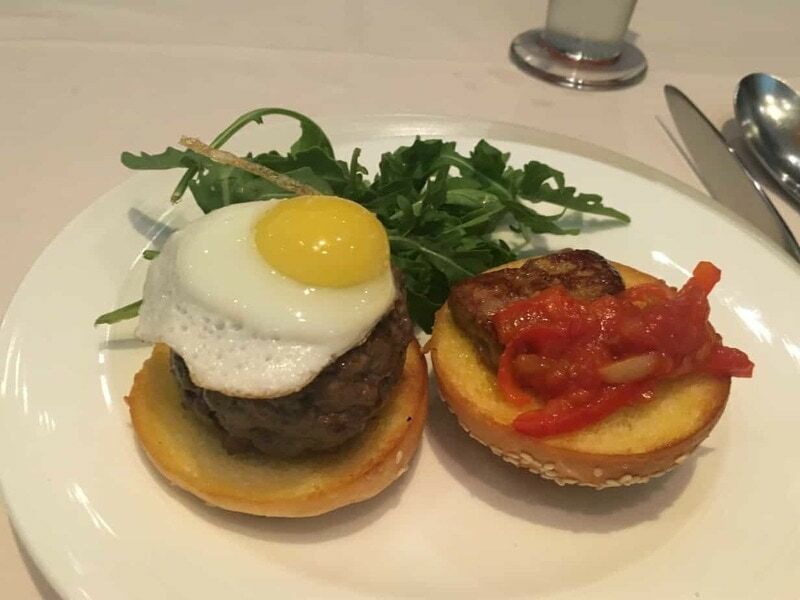 Instead, I chose the US prime beef burger with foie gras, rocket leaf and fried quail egg. 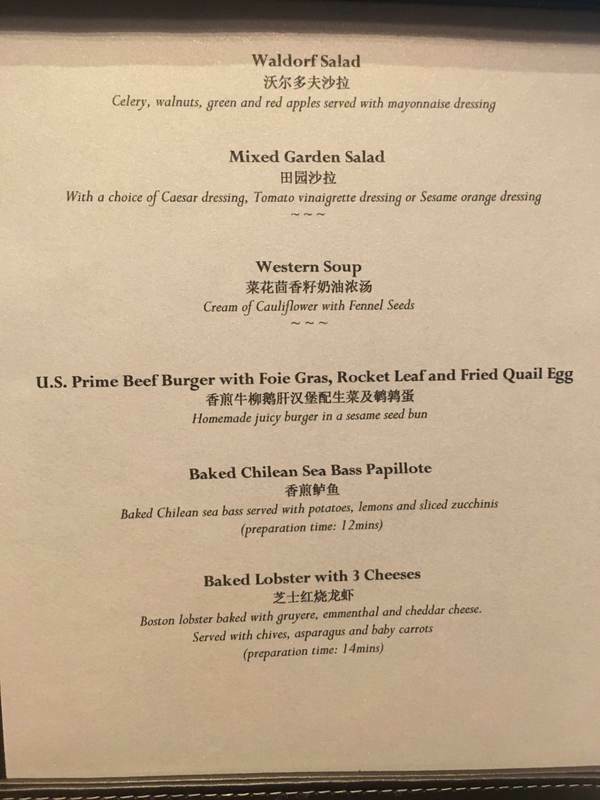 It was delicious, and thankfully quite a small portion, as I planned to sample the food on my upcoming flight to Hong Kong. 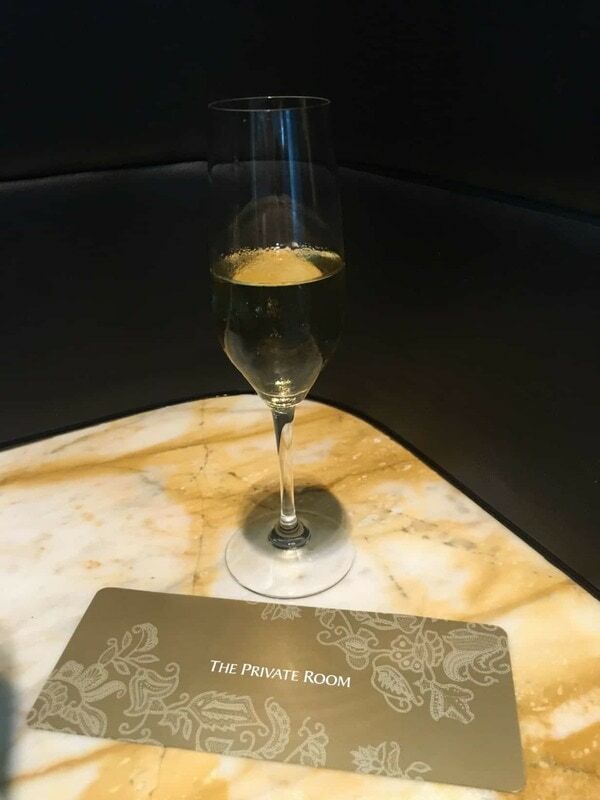 I finished my evening visit to the lounge with a glass of the Charles Heidsieck Brut Reserve before it was time to walk to the gate for my flight from Singapore to Hong Kong. There’s no denying that The Private Room exudes exclusivity as a dedicated space for the first class traveller. However, the space doesn’t quite live up to the hype as Singapore Airlines’ top lounge in the world. 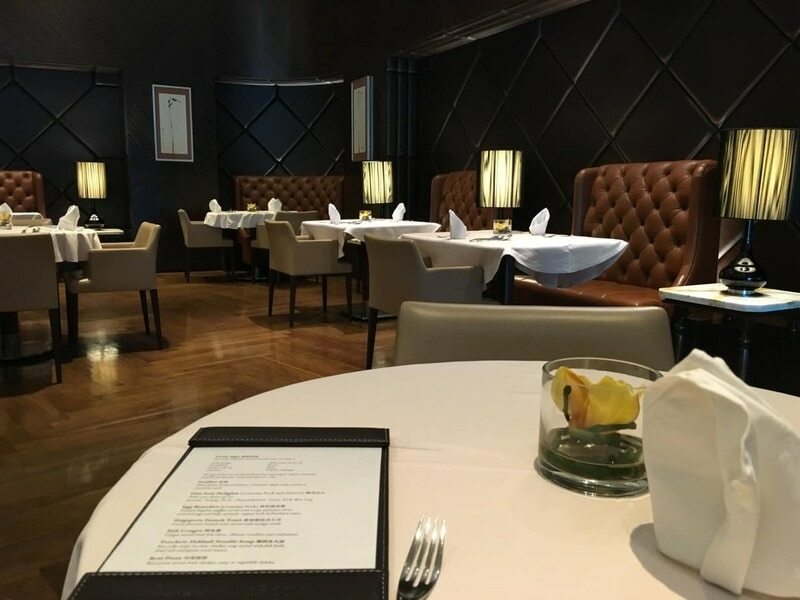 With the exception of the excellent a la carte dining set up, services and amenities are far behind other flagship first class lounges. 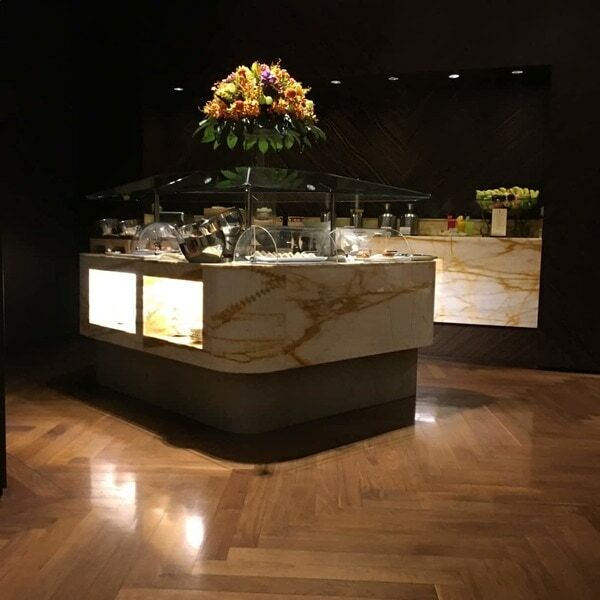 Qantas First Lounges in Melbourne and Sydney and the Thai Airways First Lounge and Spa in Bangkok are all superior. 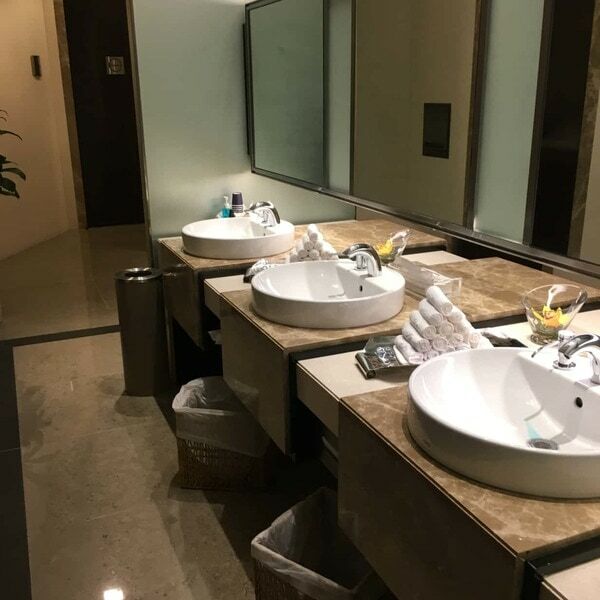 While it’s lavishly furnished, limited business facilities, a lack of family friendly amenities and a less than relaxed vibe mean that this probably isn’t a place you’d want to spend lots of time in – either as a leisure traveller, or to catch up on work.